Primonymous ~ Download Novel Assassin's Creed Series Lengkap - Novel Assassin’s Creed Series dibuat sesuai dengan cerita di dalam game Assassin's Creed. Menceritakan pertempuran antara ordo Assassin dan Templar. Seperti gamenya, novelnya pun juga mendapat sambutan hangat di banyak Negara. Brotherhood was released in 2010. 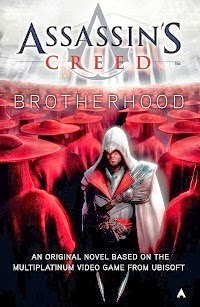 It's a novelized version of the game Assassin's Creed: Brotherhood. 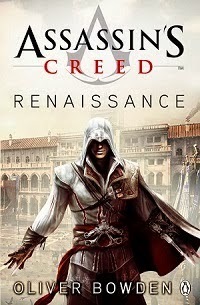 Just like its previous book, Assassin's Creed: Renaissance, it does not contain any of the game's present-day events including Desmond; only a reference to a "phantom" by Ezio. Unlike the events of the game which start in 1499, this version of the story starts in 1503. Ezio Auditore struggles to free the city of Rome from the tyranny of Cesare Borgia who seeks to take over Italy. 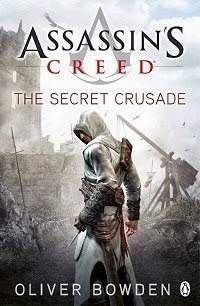 he Secret Crusade follows Altaïr as told by Niccolo Polo. It details the life of Altaïr, an Assassin, beginning with the death of his father. Altaïr watches his father be executed for the unintended death of a noble. Some time later, he also watches one of his father's fellow Assassins kill himself out of guilt over the death of Altaïr's father. Altaïr soon begins to train under Al Mualim, leader of the Assassin Order. Al Mualim instructs him not to tell his fellow Assassin Abbas of his father's suicide. Despite this warning Altaïr tells Abbas, who receives the news poorly. The news that Abbas' father killed himself causes problems between himself and Altaïr. 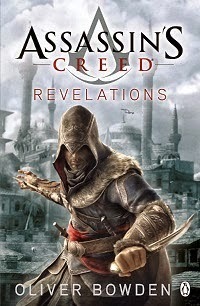 Revelations once again follows Ezio Auditore as he leaves his life behind in search of the truth about the Assassin Order and "Those who came before". The resulting journey leads him to Constantinople where a growing army of Knights Templar threatens the region. It was released on 24 November 2011 in the United Kingdom and on 29 November 2011 in the United States. Forsaken primarily takes on the form of Haytham Kenway’s personal journal and tracks his life from his early childhood in England through to his rise up the Templar ranks. Unlike Revelations this one is written in first person and follows Haytham Kenway only, right from his childhood to his death at the hands of one of the most unexpected character. Haytham is fighting for what he thinks is right while the assassin is fighting for a totally different cause. 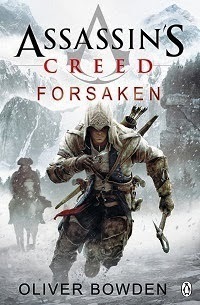 Forsaken was released on 4 December 2012. Black Flag follows Edward Kenway, Haytham Kenway's father, and Connor's grandfather. 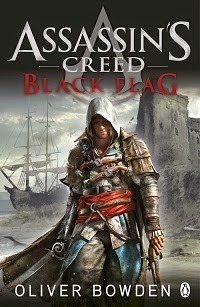 It takes place in 1715, Assassin's Creed IV: Black Flag. Black Flag was released on 26 November 2013. 11 Responses to "Download Novel Assassin's Creed Series Lengkap "
Ada yg versi bahasa indonesia nya ga gan?? I have just listened about the fame of this game but will play it now..
Long Cat is very LONG!